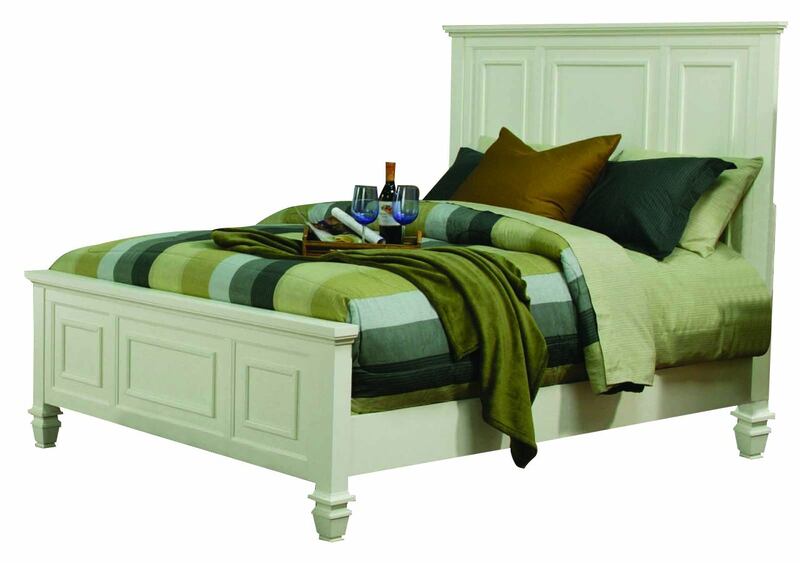 Add the carefree and comfortable style of coastal design to your bedroom with this stylish panel bed. A unique wainscoting design with square appliquÃ©s adorns both the headboard and footboard. Featuring a clean white finish and carved bun feet, this bed will add a light and airy look to your home. Create your very own cozy cottage retreat with this seaside inspired collection.